A lovely traditional farmhouse with great history located just a short distance from Chilmark Center. This well maintained home boasts beautiful perennial gardens, and well manicured landscapes. A spacious interior provides the first floor with 2 separate large living areas, a large formal dining room and a renovated granite counter top kitchen. This house is full of character and charm and also offers an additional outbuilding that can be used as an oversized shed, studio or transformed into an endearing summer bunkhouse for overflow guests. A spacious deck space off the back of the house is great for entertaining or can serve as a quiet reading spot to enjoy the blooming gardens that surround this home. 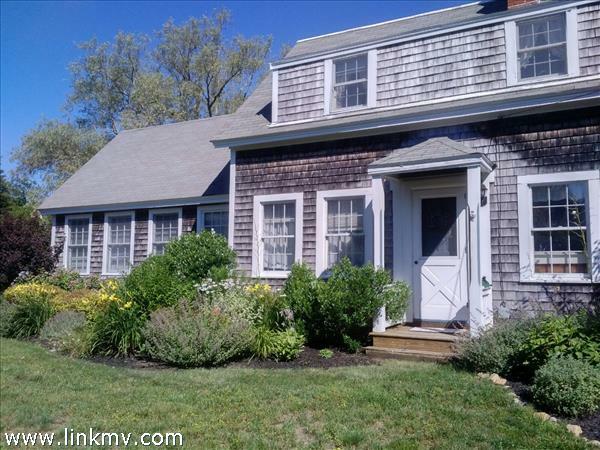 Only a short distance to the Chilmark store, Chilmark Chocolates and approximately a mile and half from Squibnocket and Lucy Vincent beaches.